Sleek and sophisticated, the Lexington 20 Pendant by Heathfield & Co will make an elegant statement over a dining room table. 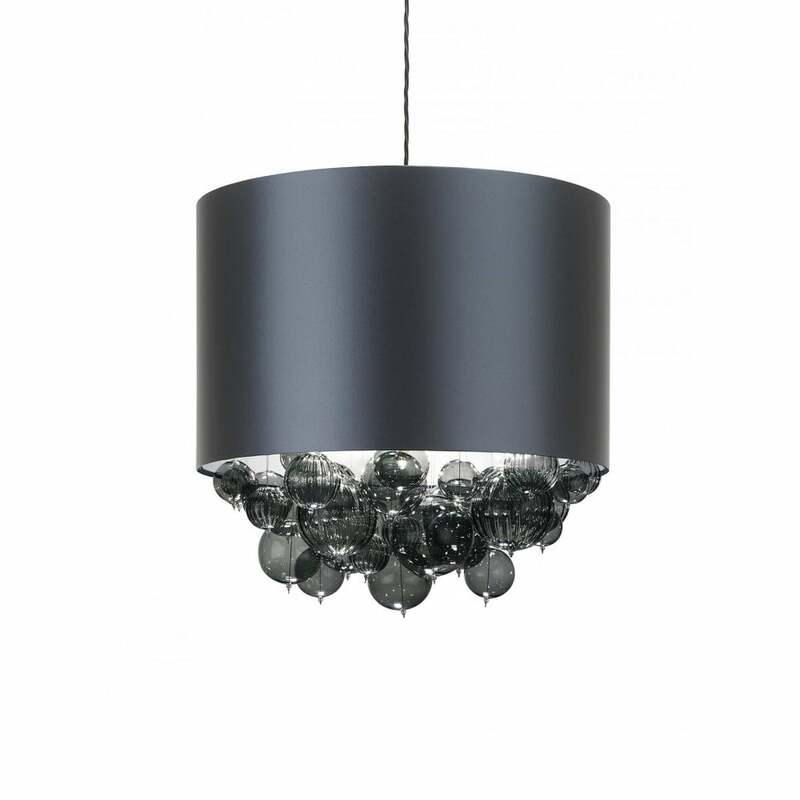 Skillfully formed from borosilicate glass, the delicate globes are finished with either a plain or fluted finish. Choose from two classic hues - Smoke and Opal Jade. Presented with a premium satin shade, the dark teal tone will complement both modern and traditional interior schemes. A wide variety of opulent shade options are available. Get in touch with our team of experts for samples, advice and tips. Assembly and suspension of glass will be required. Priced for 20" Lexington Drum shade in silk with white PVC lining. Please contact us for other options.